The answer from any Devonian will be a resounding “YES!”. Anyone else who has ever been will answer in the same way. 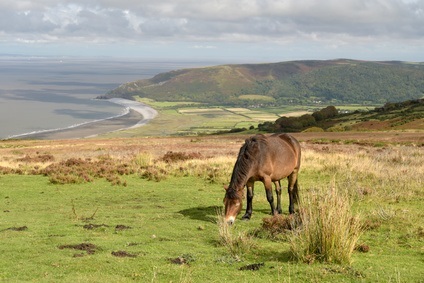 Exmoor is one of the most beautiful spots in one of the most beautiful counties in England. Although a lot of it is in Somerset, the Devonians are rightly proud of the fabulous scenery of Exmoor. The River Exe runs begins in the moors near the village of Simonsbath. It flows from its source in North Devon and runs through to South Devon. From this river comes the name for the moors that surround its northern stretches. 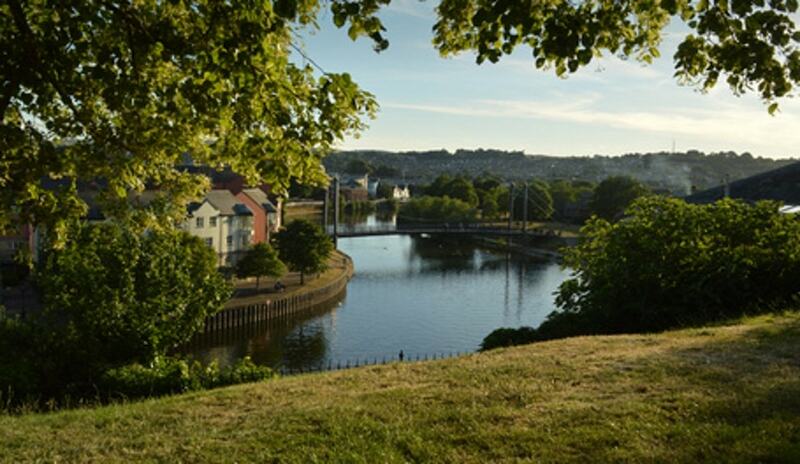 The word Exe actually means water in the early Celtic dialect of the area. It is therefore the “Water River”, or “River River”. Humans have lived in Exmoor since the Mesolithic period, when they came to farm and mine copper and tin. They left behind standing stones, circles, cairns, and bridges that are one of the most fascinating and inspiring sights in all Devon, and are amongst the most precious artefacts of prehistoric Britain in existence. It used to be a woodland, not a moor. When the first settlers arrived, they cleared the woods for farms. As the climate cooled and got wetter, the woodlands could not regenerate, so we are left with the moors. Over time, this evolved into a unique ecosystem that is host to many rare species of plants an animals. Remnants of the original forests can still be found in the low valleys, such as the one around the Tarr steps (see below). The moor was a royal hunting ground for hundreds of years, something that has contributed to its preservation. Such is the importance of Exmoor as an ecosystem and place of outstanding natural beauty that it was made a National Park in 1954. There are towns like Lynmouth and Porlock inside the park, but it is otherwise sparsely populated. As a National Park, it enjoys special protection from development and damage, which should preserve the Park for many generations to come. Any of the tiny villages and towns that are on the moor are worth visiting. They have a delightful English character to them and offer easy access to the fantastic walking available on the moor. The highest sea cliff in mainland Britain, the Great Hangman, near Combe Martin, stands over 1000 feet high and is the pinnacle of the astounding sea cliffs that make the Exmoor coast so worth visiting. Nearby are huge waterfalls and vast caves. Climbers and explorers have been enjoying the 55 miles of Exmoor coast for decades. If you don’t feel like joining them, you can just watch! The Lanacombe standing stones aren’t Stone Henge size but they are incredibly beautiful. Probably used in Neolithic ceremonies, they are full of mystery. You can get a real sense of the past when you are near the stones. Crossing the River Barle, the Tarr steps are a type of bridge called a clapper bridge. 180 feet long with 17 spans, it (possibly) dates as far back as the Bronze Age (1200 BC). Legend has it that the Devil himself built the bridge and retains the right to sunbathe there when he likes. He promised to kill anyone who tried to cross it but the local parson engaged him in a slagging match, which he won. The Devil conceded the bridge. Except for when it’s sunny, when he gets to sunbathe. More interesting than it sounds, the Valley of Rocks is a beautiful geological marvel that also has a herd of feral goats. 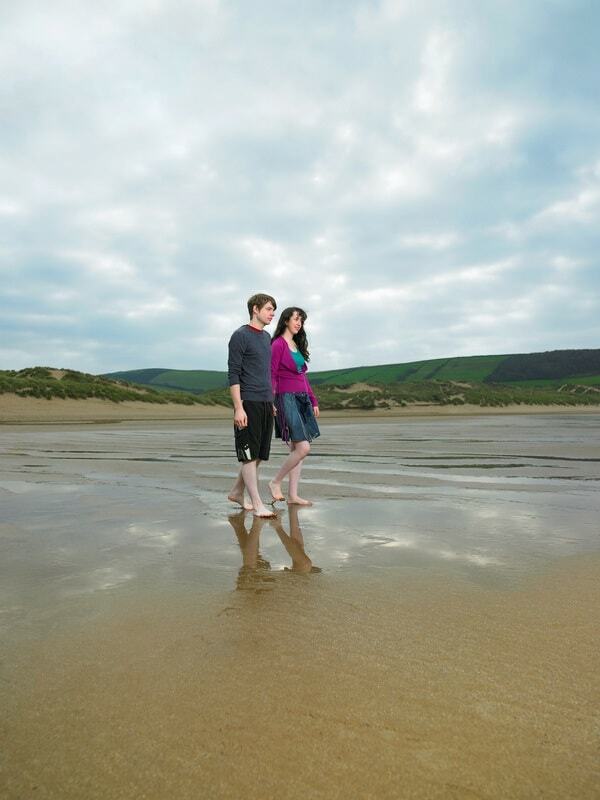 Fossil hunters will love it here, it’s one of the best places for fossil hunting in Devon. What to do on Exmoor? Exmoor has some of the best walking in the UK. The moorlands are remote but accessible, with defined trails like the South West Coast Path, the Two Moors Way, and the Coleridge Way being popular with walkers of all abilities. Cycling is a very popular way of exploring Exmoor. The hills and trails of the moor are ideal for all levels of cycling, and there is a lot of great off-roading too. Be careful, a lot of the moor is off limits to walkers and cyclists because it is very delicate ecosystem. Make sure you know where you are going and that you are OK to go there. Reports of a huge cat-like creature that roams the moor have sprung up in recent years. The Royal Marine Commandoes were called in after a farmer reported 100 of his sheep being violently killed in 3 months. The Marines saw nothing. Who knows, you might be one of the lucky ones who catches a glimpse. This entry was posted in Places To Visit In Devon and tagged Exmoor on August 4, 2018 by admin.